Ms SQL server related technical issues and solutions to programming problems with SQL Server and linking to other services. I have also developed a solution of mine, but using simple t-sql CTE instead of t-sql PIVOT statements. Both methods are actually ending with the same result set. Here is the sample t-sql code for the t-sql calendar listing. Here is the CTE output for generating sql calendar dates on a MS SQL Server 2005 or later (SQL Server 2008). If you ever wanted to include the eGate payment gateway in your ASP.Net site and want to save yourself the time in creating the class, here’s how to do it. First things first you will need a merchant account with ANZ who will give you the following ·Merchant Account ·User name ·password The details could be downloaded from the ANZ web site http://www.anz.com.au/australia/business/merchant/DownloadDevKit.asp I am doing this for an Aus base client thus the process might be different to your own country. Please check with the issuing bank for details. Have a read of the Merchant Admin guide. Login to the merchant account and create an operator ID, Login as the operator and obtain the access code. I will not going to the details as this is all documented in the admin guide. 1. 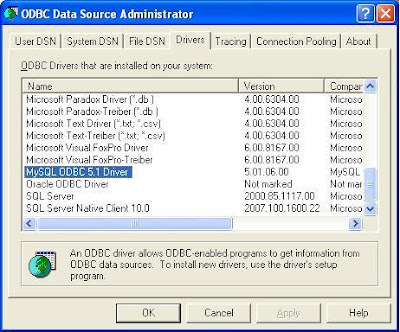 Install the MYSQL ODBC driver on the server with the MSSQL server installation. 2. Enter details for the MYSQL ODBC settings.